However, that doesn’t mean there’s no wiggle room to get lower prices. Sometimes, equivalent hosting options come at vastly different price points. And there are also strategies you can use to get the best hosting options at the lowest prices. Chances are that when you hear the word “coupon,” you think of older women trying to dump crumpled pieces of paper on a poor cashier. They’ve spent ages finding and cutting these coupons. But online coupons are very different. Websites have recently come upon the recognition that they can build simple tools to search for available coupons for just about anything. With the right algorithm, they can find you coupons without you having to do any searching yourself or having to sign up for anything. There are hosting coupons available that you can use with no strings attached. You’re probably going to be running your website for years. As long as your business is in existence, you’re going to need it. Even if you make major changes, you can stick with the same hosting service. Once you’ve found a plan that is flexible enough that you can feel comfortable committing to it, sign up for the long term. Instead of paying monthly, pay for two years at a time. The layout shouldn’t be too big, but you will get major discounts. Hosting services gain a lot when customers pay upfront, but that doesn’t mean you lose out. It really can be win-win for everyone. However, be careful. Since you’re committing, do thorough research, checking customer reviews to see how they have been treated over the years. Make sure the plan is flexible enough. And see if they’ll give you a 30-day money-back guarantee. This gives you the option to test it out while not missing out on the discounts. Now, while it’s important not to compromise for the sake of cost, there are some options that are only cheaper because the provider is still relatively new on the scene. Some of the best hosting options out there are still relatively unheard of – at least when compared to the companies who have dominated the hosting game until now. Companies that have been around for just a few years and are growing rapidly have the most to gain from providing good service. They offer plans for low prices and win customers by the quality of what you’re getting. Providers like FastComet, who are relatively young but have already proven themselves, will promise a better user experience than the big guns will give you. They have far more to lose, after all. You should never compromise on good hosting, but that doesn’t mean the most expensive options are the best. 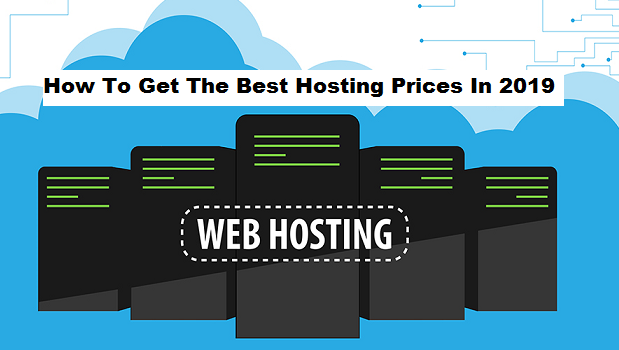 Use these strategies to get the best hosting at the lowest prices.